Lust The Beauty: April Violet Box Review! After unsubscribing from Lust Have It! (for money reasons, not because I hated it), and discovering there were other beauty boxes in Australia, I subscribed to Violet Box! It costs about $23 a month, and - same as Lust Have It! 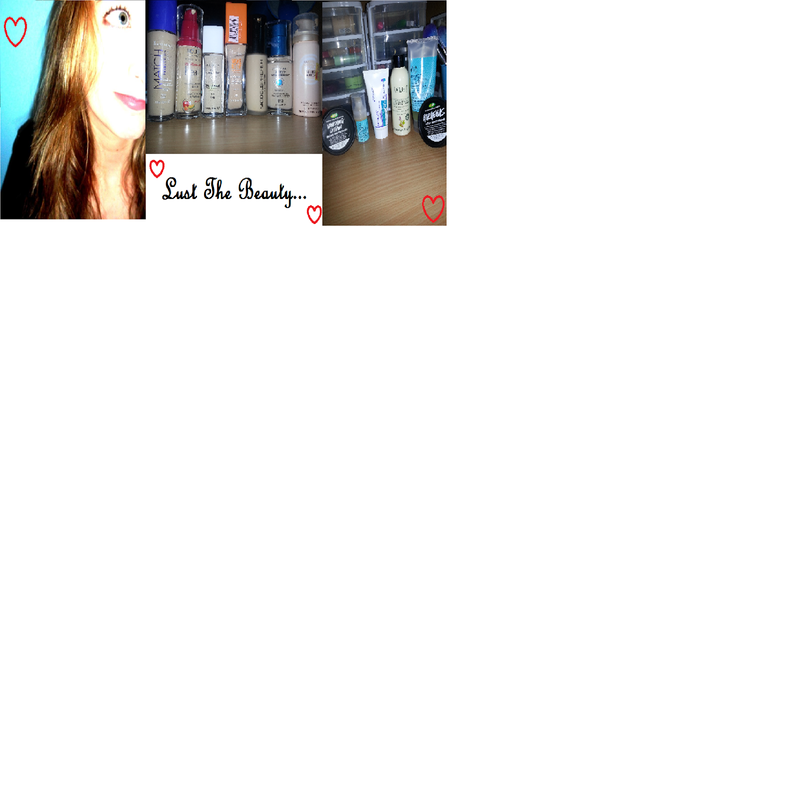 - you get a handful of beauty samples to try out! I'm not very adventurous with beauty products. I always stick to neutral tones for makeup, and skincare and hair care products I know are really good for me. So having a tiny sample to try when I'm feeling oh so adventurous is perfection. Here are the contents of the box that I received. The first - and biggest - product in there, is the Cedel Extra Firm Hairspray in Raspberry Punch. "Cedel's famous lightweight, non-sticky hairspray now comes in a range of fabulous fragrances to suit you and your lifestyle. Raspberry Punch is a fun new fragrance delivering a fruity hit with a touch of ginger, that freshens & holds your locks with a design that makes it the ultimate handbag accessory." Okay so first thing's first: the smell of this is AH-mazing! It smells like raspberry lemonade. Yummmm! I haven't used this yet - as I said, I have to wait for an adventurous day - but it smells and seems to be a dupe for another hairspray I've tried, which is really good, so I have high hopes! Next one, which I actually already have, but I love the tiny tiny bottle, is Bioderma! Bioderma is one of the cult products that everyone needs to try. And I am a big Bioderma advocate. I use it every day I use makeup. I'm on my second big bottle already! This stuff if great! Pop some onto a cotton pad, wipe over any makeup and it comes straight off. If you have Benefit's They're Real mascara, you'll know how hard that is to get off! Bioderma makes it so so easy! The next little sample is a whipped body cream from Villainess. I've never heard of this brand before, so I was interested to see what it was like. It is so luxurious! It smells like a really vanillary chai latte. The texture is rich but light (because it's whipped) and feels so nice on the skin. If you have dry skin, this would be a perfect cream to use! I used it just on my hands and lower arm, and it made them smell incredible and after it had sunk in I couldn't stop touching my skin! But either way I was so excited about this colour that I put two coats straight onto my bare nails (not even a base coat - so unlike me), and oh my, it looks divine. 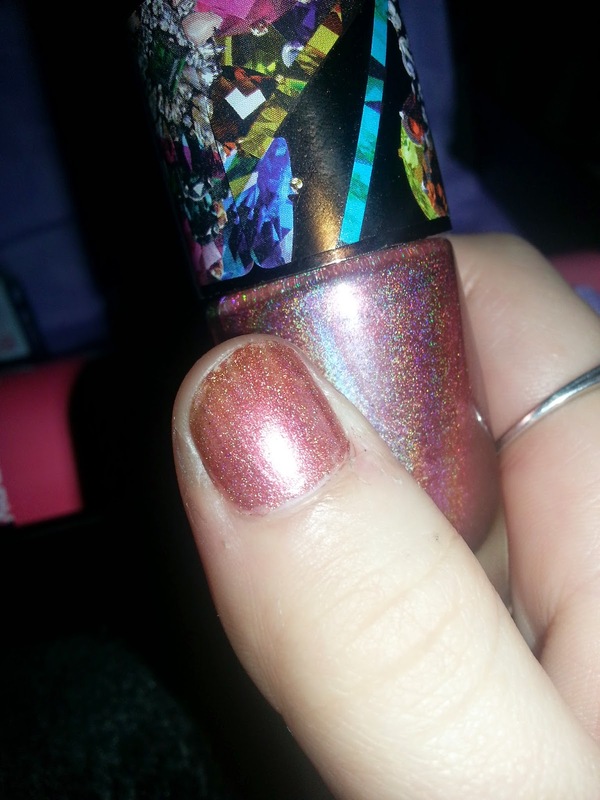 I'm not big on sparkly-type nail polishes, but this one is a good'n'. Probably my favourite of the box - makeup related of course - is a felt-tip stylo type eyeliner pen from 'be a bombshell'. It's in the colour 'Midnight', which is a beautiful blue colour that to me looks only a tad darker than royal blue. 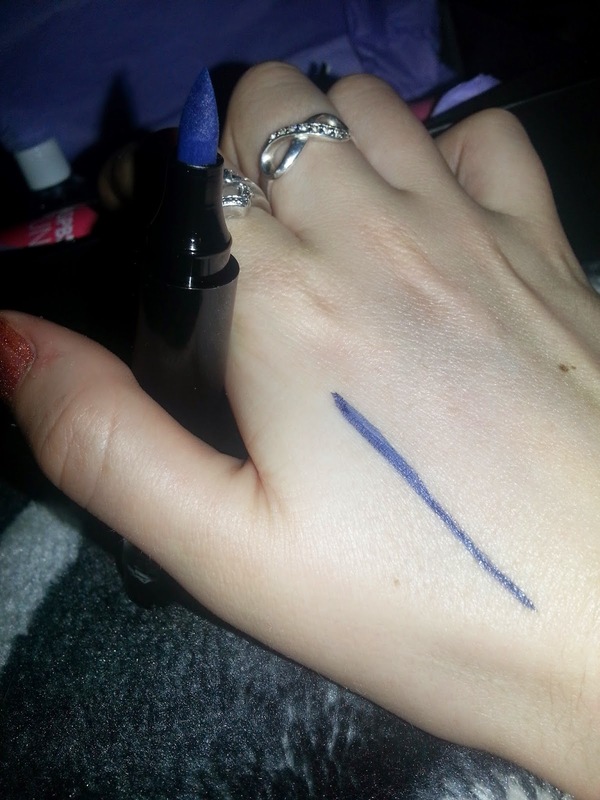 I've bought one of the NARS eyeliners that has a similar felt tip like this one, which wasn't cheap at all...ever. But this one is just as good. I haven't tried many of these types of eyeliners, but if my NARS one and this one were the same colour, I wouldn't know the difference. In fact, unless I just had a lucky streak, I found this one easier to apply. I noticed that the eyeliner contains hyaluronic acid. In case you don't happen to know what this is, it basically is an ingredient that a lot of skincare items have to help skin absorb moisture. Sooo...not sure why an eyeliner would have it, but hey, if it helps my eyes be all moisturised and stuff, I'm a happy camper. 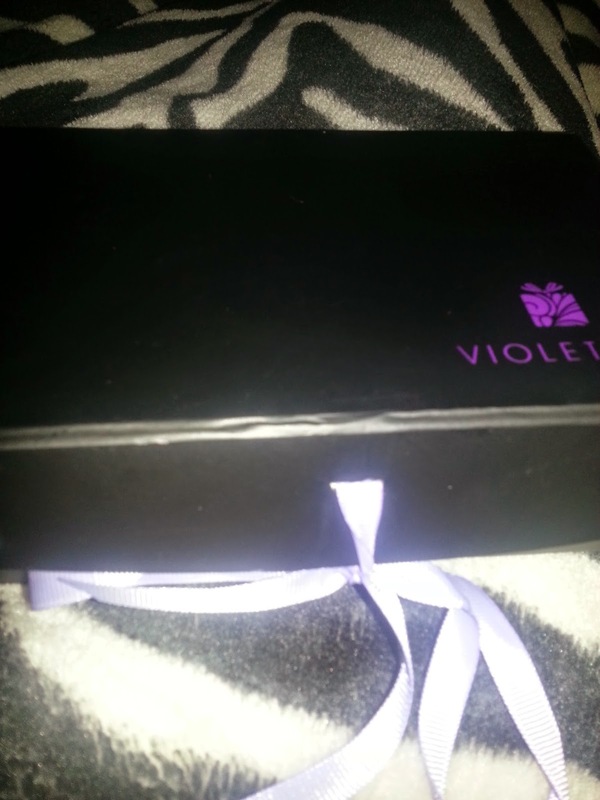 So overall, I'm SUPER excited about my Violet Box subscription now! Can't wait for next month's one to come and to use some new goodies!